With Long and Foster Vacation Rentals, you can stroll the world-famous Ocean City Boardwalk, check out the panoramic views from the Fenwick Island Lighthouse, and enjoy the vibrant night life in Dewey Beach before returning to the comfort of your own private escape. And every day brings new adventures, from historic walking tours, shopping, and golf to kayaking, fishing, and exploring the natural beauty of the area’s numerous state parks. The only thing that doesn’t change? The serenity of ending each day with a golden sunset over one of the many bays nestled into the Atlantic coast. It doesn’t matter whether you’re staying a few nights or a couple of weeks – Long and Foster Vacations has the property to fit your needs. And that’s true regardless of the time of year, too. Summer, Winter, Spring, or Fall, you can rely on Long and Foster Vacations to find what you’re looking for. 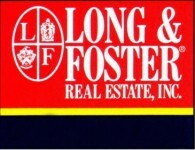 Moreover, our dedicated staff of real estate professionals is committed to providing you with the high level of service you've come to expect from Long & Foster. We offer each guest our “Personal Best" to ensure your vacation is an enjoyable experience. For more than 25 years, Long and Foster Vacations has been helping families make vacation memories to last a lifetime. Let us help you and your loved ones create new experiences that you can cherish for years to come by matching you with an Long and Foster Vacation rental today.